Although those early negotiations for Tim Burton’s Dumbo movie fizzled away into nothing, the Mouse House isn’t about to give up on Will Smith yet; Deadline reports today that the Suicide Squad star is circling the Genie role in Guy Ritchie’s live-action Aladdin movie. Negotiations are ongoing, and the outlet cautions that, much like the meeting between Smith and Disney regarding Dumbo, these talks between actor and studio are in the early, early stages. Scheduling is one potential obstacle for Will Smith, given Aladdin is currently gearing up for an extensive, six-month shoot in London this summer. 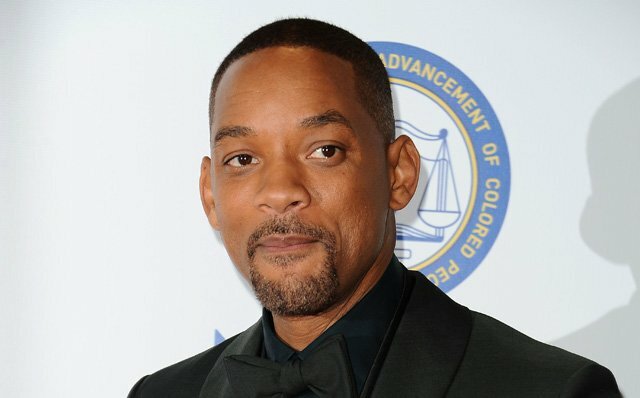 That’s not to say the former Fresh Prince will be required on set for the entire production – often times big-name stars will drop in and out when called upon – but given how instrumental the Genie is to Aladdin’s story, the Disney shoot may complicate Will Smith’s longstanding commitment to Bad Boys for Life. Behind the scenes, John August (Big Fish) is the scribe on board to pen a screenplay for this live-action interpretation, with the 1992 animated classic acting as the primary source of inspiration. Dan Lin, meanwhile, will produce for the Mouse House, and all involved have vowed to enlist a diverse ensemble cast headed up by Aladdin and Princess Jasmine. Look at me. (Laughs) I mean I’m not a typical guy. Listen I’m very fortunate working in Hollywood; I am diverse. So when I came in to make the movie, I wanted to make a diverse version of the movie. Luckily for me Guy Ritchie has the same vision and Disney has the same vision, so we’re not here to make Prince of Persia. We want to make a movie that’s authentic to that world. Following Cinderella, The Jungle Book and last month’s Beauty and the Beast, Disney’s output of lavish live-action fairytales shows no sign of slowing down anytime soon. The latter recently cemented its place in Hollywood’s history books after crossing that all-important $1 billion milestone at the box office, so it’s small wonder why the Mouse House view these modern interpretations as big business. No word of a release date for Aladdin just yet, but with a June production start now on the cards, not to mention the potential involvement of Will Smith, it shouldn’t be too much longer before the project takes shape.